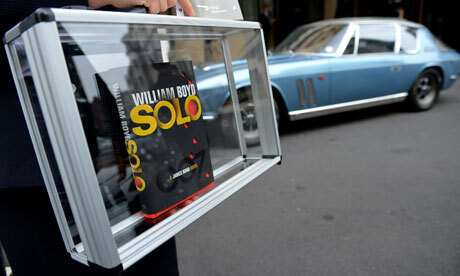 William Boyd will be pleased to have the successful launch of Solo behind him. Few of 007's missions against those sinister mega crooks – Dr No, Goldfinger et al. – could be as fraught with jeopardy as the invitation to pick up the dangerous mantle of Ian Fleming. As in the best classical quests, the rewards are mouthwatering but the penalties for failure excruciating. Consider the perils he faces: we know Bond was born in 1924, which would have him pushing 90. An agent on a Zimmer frame with a licence to kill? Not plausible. Contemporary writers need to put him back into his prime – but do that, and you encounter another set of snares. Fleming and Bond are inextricably linked in ways – xenophobia, male chauvinism, a taste for sadomasochism – that may give the contemporary reader pause, while Bond's world – the late imperial Britain of the 1950s, rightly identified by many critics as an elegiac version of an England from Fleming's youth – is now at one with Nineveh and Tyre. It's defunct, caput, irrelevant and irretrievably lost. And all that's before, stepping into Fleming's shoes, the sorcerer's apprentice tackles the cheap, thrilling, glitzy vanity mirror of Fleming's prose. Enough said. So it's good to report that Boyd has immersed himself in the character, the author and his oeuvre and come up with an Afro-American adventure that's triumphantly the equal of the great Bond adventures, Casino Royale and From Russia, with Love. In Boyd's novel, Bond is dispatched to a fictional west African state to track down its warlord, the Scorpion, nearly dies, and then pursues a score-settling mission to the US where he reconnects with his old chum and CIA man, Felix Leiter. It's not the real thing – how could it be? – but, dare one say, a brilliant imitation that's occasionally superior to the prototype. For the moment, the predators in the shark/alligator pool can stop circling. Dr No, Goldfinger et al. have met their match. Boyd IS Bond.